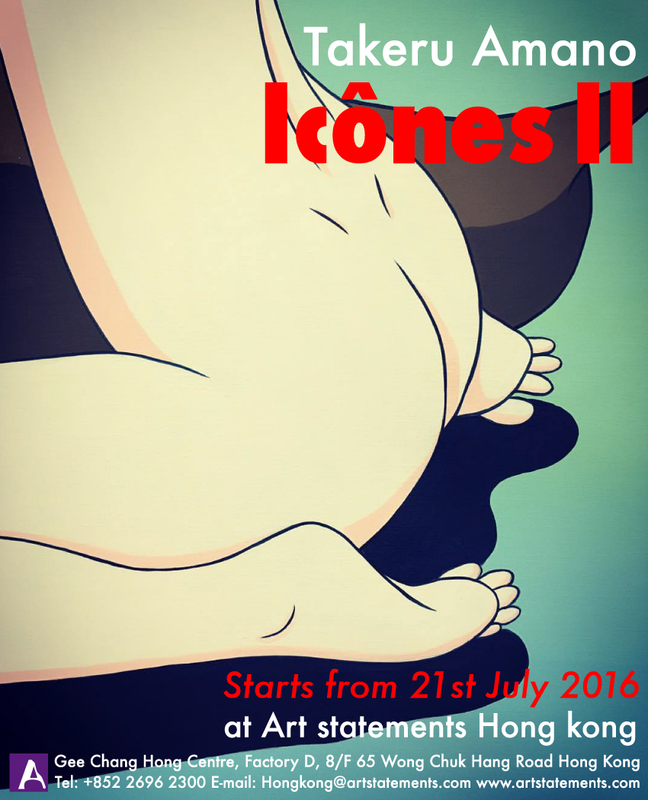 Takeru Amano new solo exhibition “Icônes II” opens on July 21st (until Sept 30) at Art Statements Gallery Hong Kong. 27 Jul. 2016 Takeru Amano new solo exhibition “Icônes II” opens on July 21st (until Sept 30) at Art Statements Gallery Hong Kong. 23 Jun. 2016 Takeru Amano new solo exhibition “Icônes II” opens on July 21st (until Sept 30) at Art Statements Gallery Hong Kong. 21 Jul. 2014 Takeru amano art exhibition “No one’s on the moon” at Art statements Hong-Kong this week end!